Chicago Tribune and Nina D.
Nina DiGregorio always wanted to play rock and roll — but doing that on the violin wasn’t much of an option when she was growing up in upstate New York, she said. Today, however, she’s known as the pioneer of electric rock violin and performs rock covers with other classically trained female violinists. Most of them, including DiGregorio, have master’s degrees in violin performance. 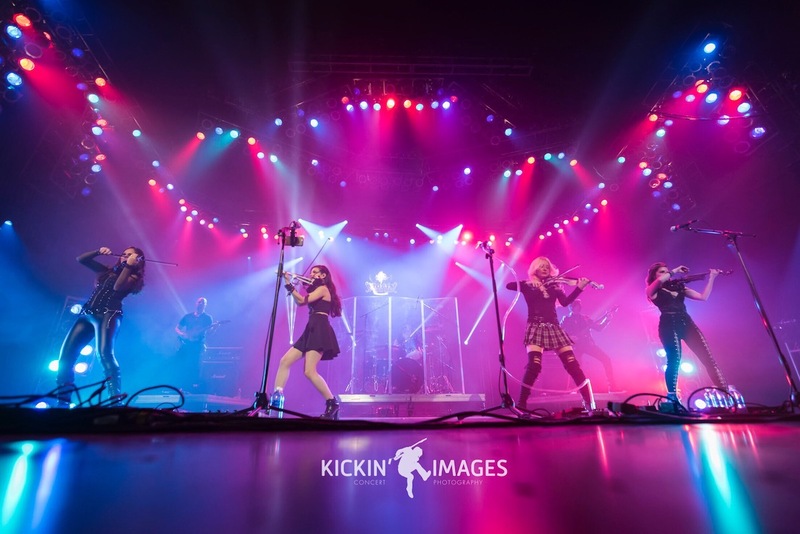 DiGregorio brings Femmes of Rock to Genesee Theatre May 4 to show all that can be done when you get creative with classical violin and electricity. CLICK HERE for the full article at Chicago Tribune.